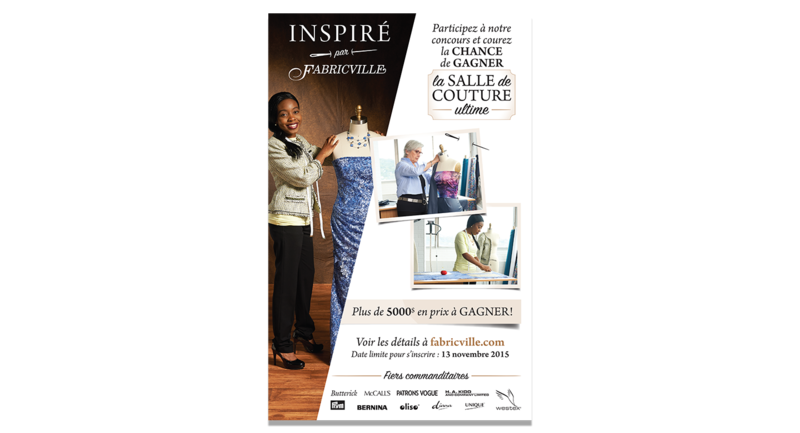 Fabricville was established in 1970 when Fabricland, the largest fabric retailer in Canada, took the decision to expand to the province Quebec. The first Fabricville opened in Montreal over 45 years ago and since then has expanded to 24 stores throughout Quebec and Atlantic Canada. 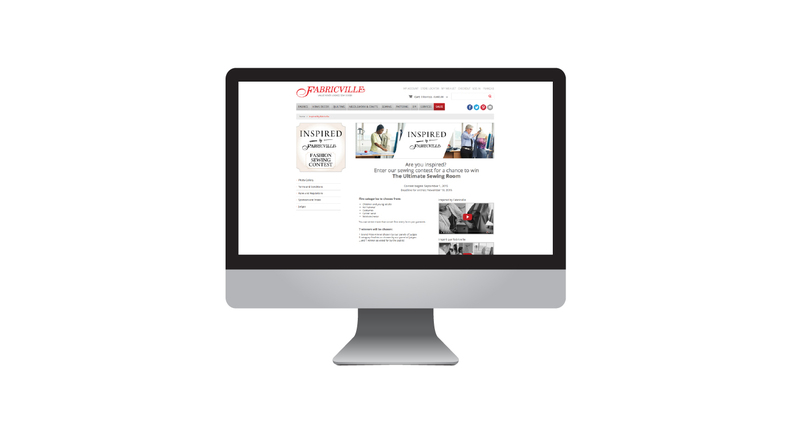 Whether customers are looking for custom window coverings, home décor accents or in-store expertise, Fabricville offers them the best value for their dollar. Twofold Creative was asked to create the visual identity for Fabricville’s Inspired Sewing Contest. Inspired by fashion, a fun yet trendy logotype was designed for the contest. A delicate serif typeface was chosen to keep the look sophisticated in order to attract a broader audience. 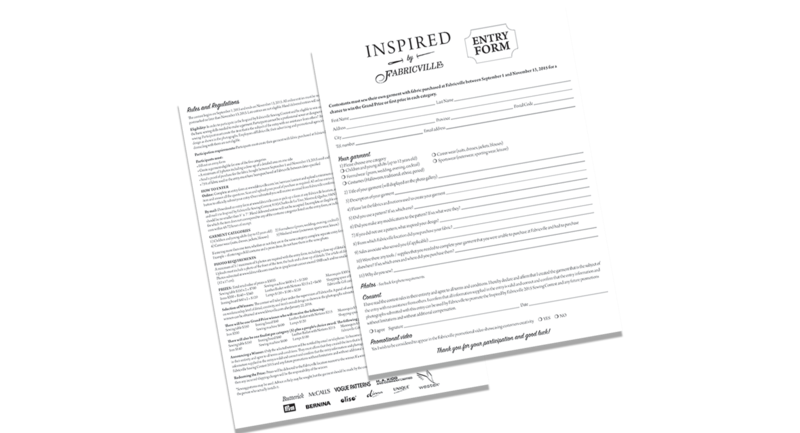 Marketing collateral includes the design of posters, forms, newspaper ads, flyer inset and web media.